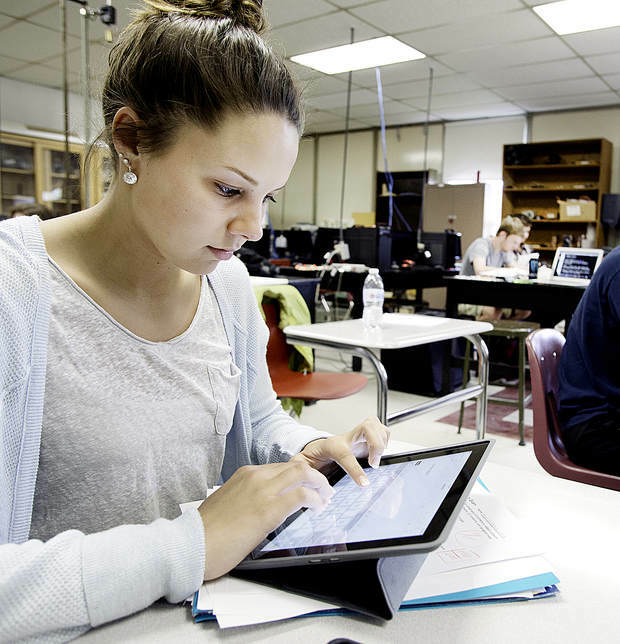 According to a report in the Lewiston-Auburn Sun Journal, schools in Auburn and other districts in Maine are set to benefit from the "Refresh" swap, following surveys of students and teachers across grades 7 through 12, which revealed that 88.5 percent of teachers and 74 percent of students preferred laptops over iPads. "The results are pretty darn clear," said Auburn School Department Technology Director Peter Robinson, who conducted the survey. "The findings made the decision for us." Robinson said that three years ago, after seeing success with iPads in primary grades, he thought iPads were absolutely the right choice, but now he realized iPads have shortcomings for older students. One teacher wrote in the survey that iPads "provide no educational function in the classroom. Students use them as toys. Word processing is near to impossible. I applaud this change." "The iPads are largely students' gaming devices," another teacher wrote, while one called their introduction into the classroom "a disaster". As part of the state's "Refresh" swap offer, Auburn's iPads are being returned and 1,718 laptops will be delivered in the fall to Edward Little High School and Auburn Middle School. The state "underestimated how different an iPad is from a laptop," said Maine Learning and Technology Initiative Director Mike Muir. "Student use of iPads could have been better if the Maine Department of Education encouraged more teacher training." The offer applies to 7th and 8th-graders' computers, which are paid for by the state, and computers for high school students that some schools pay for as part of the Learning and Technology Initiative. The initiative allows up to $254 per student for a device and teacher training to help students get the most out of technology. The cost of the new Apple laptop will be $217 per year per student for 2016-17, and $248 per year after that. In Farmington, Mt. Blue High School's technology manager Darcy Dunphy said the state's offer is "too good to refuse", because students would be getting new laptops while saving about $140,000 over four years. "Three years ago the Apple laptop was $273 per student a year," which meant that to stay with the Apple laptop, schools would have had to pay more, Muir said. "People chose iPads. They were within what the state would fund." Apple has been working on overhauling its iPad in Education program since 2015. With iOS 9.3, Apple introduced a number of new features that are specifically geared towards the education market. Outlined on a new Education Preview site, education-oriented features in the iOS 9 beta include shared iPads for students, a new classroom app, an Apple School Manager feature, and an improved Managed Apple IDs function. I bought my iPad for my senior studies and it was Great! I had been taking my MacBook to school but got sick of it. Better than a Laptop for battery life, better for textbooks, lighter, great for in class research for tasks, annotating books and textbooks. Did most of my writing in books as doing it all on a computer isn't the greatest idea. It was very good and that was under iOS 5 and 6 - many advances have been made since then. I also had the self control to ensure I didn't waste my time on it. Surely with the iOS 9.3 education update, keeping a class on track would be much easier. I think the problem is that plenty of schools will introduce technology for the heck of it. Money is dumped on iPads but no thought is put into making them work in schools, not to mention that technology is not even needed in many of the situations that it is shoehorned into. Teachers need to be trained and good workflows and integration need to be identified and taught. I love my Air 2 and use it alot, but it's absolutely just a toy & media consumption device. Whenever I want anything done (efficiently), I turn to a real computer. Even basic stuff like browsing, filling forms and so on is still much much better on Mac/PC. So I completely understand these students and teachers. Is ANYONE really surprised by this? All you have to think is would you rather use a none Pro iPad all day every day over a laptop for work? Plus they'll be able to load better programmes for education I would think. iPad's are media consumption devices really, the Pro range extends that with the Apple Pencil for designers and artists etc. But for education you just can't beat a good ol laptop or equivalent. Kudos to Apple for replacing the iPads although I suspect it's in the name of saving face and reduce the bad publicity they may get over this. This is sadly a classic case of the school district and the teachers not taking the time to learn how to use a fantastic tool. But anyway, props to Apple for giving them a sweet deal. Clearly we are now in the post iPad Pro era... and thank god! Can we just go back to playing games and youtube videos on our iPads now? Damn, does this still mean we have the 9.7 Vs 12 debates? Interesting move on Apple's behalf. As the majority of schools in my area have all switched to Chromebooks from iPads. I think the Laptop is more versatile for a student in terms of academic applications. ...Now they all have iPads and they're watching Netflix; seriously? ...Easy to see why Chromebooks are doing so great in the US. Isn't that simply a discipline issue? You can just as easily watch videos and play games on a legacy laptop or Chromebook. LOL, right, because you can't run MS Office on an iPad, or use a keyboard with it, or draw, or record music, or take notes, or markup documents, or edit movies and photos, or... oh wait, you can do all those things on one, easily. So maybe your lack of understanding is the issue here? Absolutely not. iPad is a computer, it much more powerful and allows to do even more than classic PC. Absolutely disagree. I've used iPads for years - since the beginning actually (iPad 3G, iPad 2 3G, iPad 4 LTE, iPad Air 2 LTE) and often it's the only "computer" with me when travelling (+ iPhone, of course). But it's only a clumsy bandaid compared to a real computer. Maybe because I'm a power user and I really can multitask and be very efficient and FAST on a Mac/PC. I could never ever achieve anything similar with iPad, at least in current state of iOS. I love to relax and use iPad, but when time is critical and I really want to be productive, using iPad is like working with one hand tied behind my back. And, of course, there are a million things I wouldn't even to begin to do (I'm a graphic designer & Adobe CC user, all the current iOS apps including from Adobe are just toys or extremely simplified versions of what I actually need). There are things you can do on iPad, that you simply can't on Mac/PC. And there are many things you can't do on iPad. But that's not even the point - the point is that iPad is good for only single focus / simple tasks. If all you do is some ridiculously trivial things, go ahead. But efficient multitasking, fast, complicated work is simply impossible on iPad. ...I think the problem is that plenty of schools will introduce technology for the heck of it. Money is dumped on iPads but no thought is put into making them work in schools, not to mention that technology is not even needed in many of the situations that it is shoehorned into. Teachers need to be trained and good workflows and integration need to be identified and taught. This whole story is about the question of devices in the classroom, not iPad vs laptop. Kids simply do not need "technology" in the classroom to learn. A laptop is equally pointless and unnecessary. And the dumb teacher quotes show that the staff had zero training or understanding of iOS and iPads, because honestly you can count on one hand the tasks that a legacy laptop is still superior at.